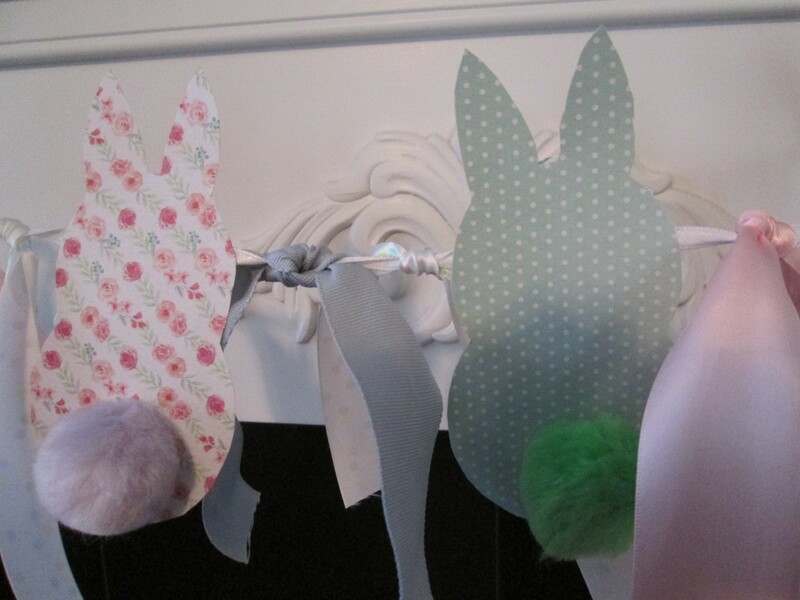 Celebrate Easter with this easy paper banner made of bunny silhouettes and puffy tails. This guide has instructions for making a spring bunny banner. 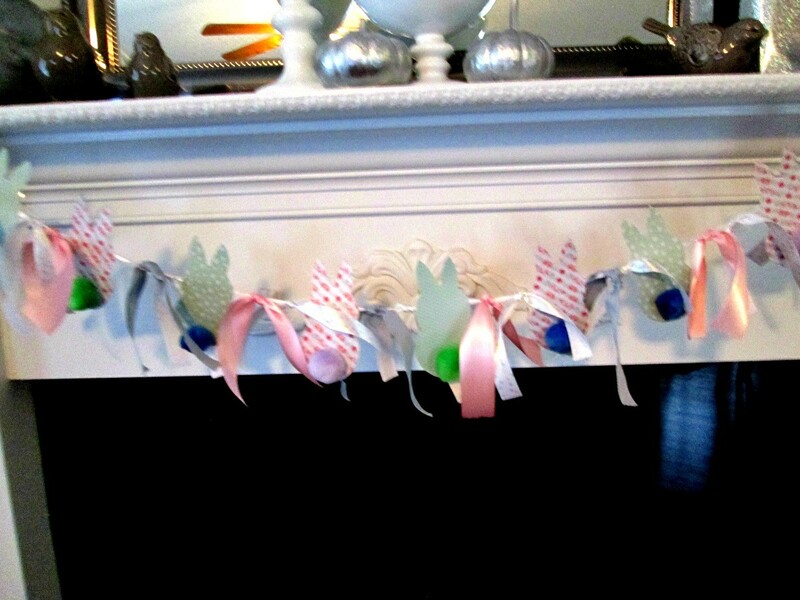 With my love for spring and its colors, I wanted to make a banner using cardstock, ribbon, tape/glue, and colored cotton balls. This is what I came up with. 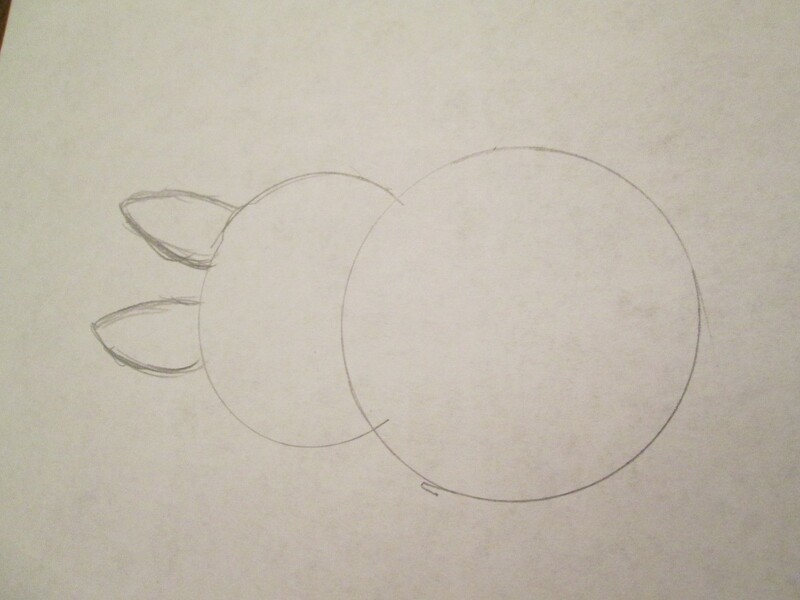 Cut out a bunny shape for a template. 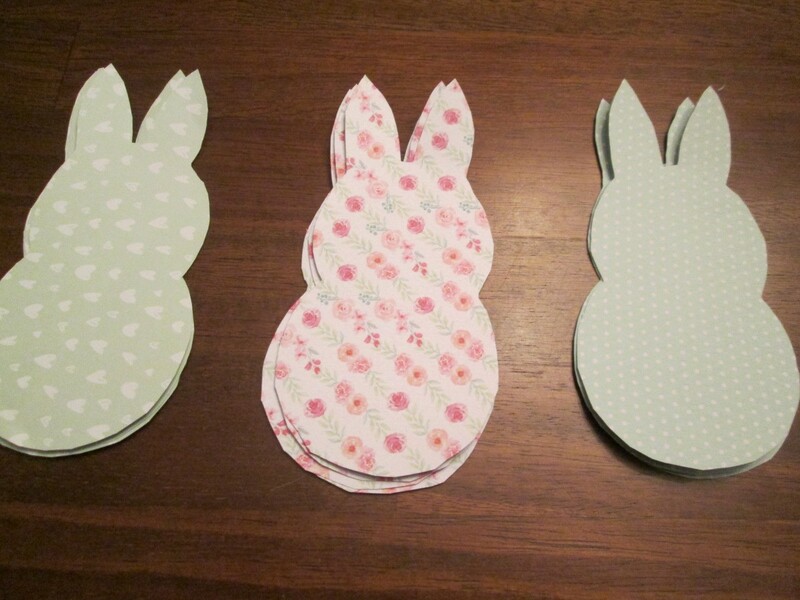 Trace and cut out bunny shapes in different card stock colors. With a thinner ribbon appox. 6 ft. long, place rabbits decorative side down, about 4 in. apart. Tape or glue to the ribbon. 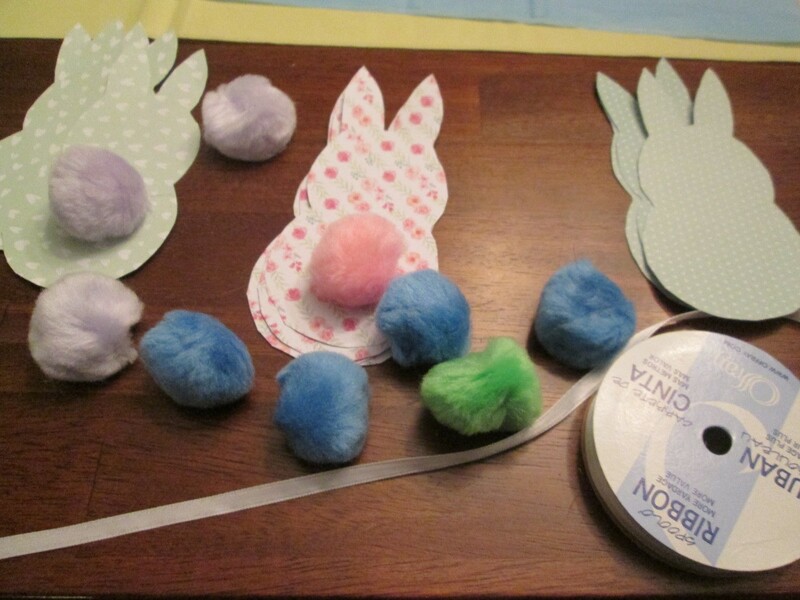 Add pom pom balls for a 3-D effect for the tails. 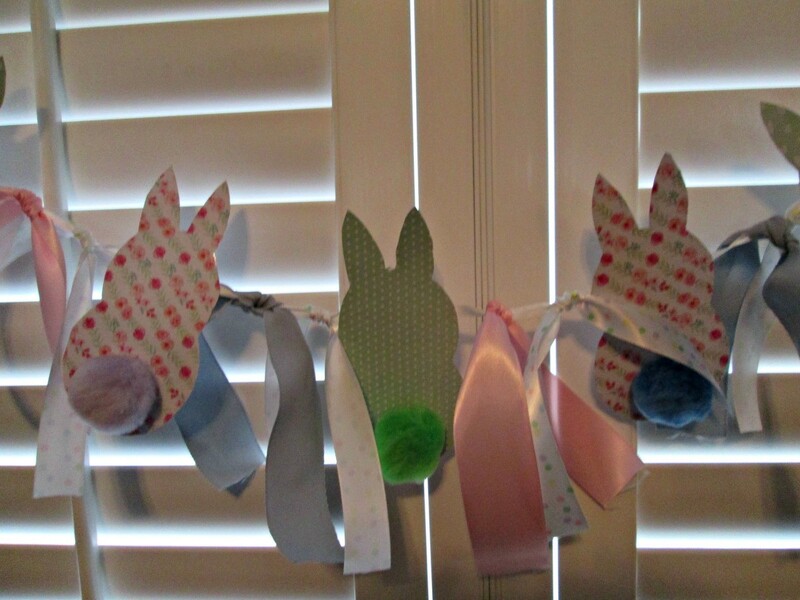 After all the rabbits are placed, tie ribbons between each bunny, using different colors.